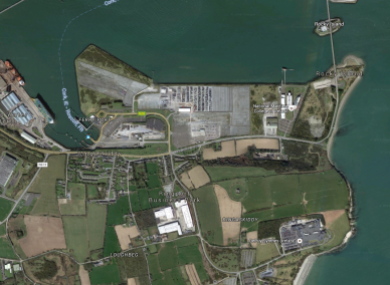 AN BORD PLEANALA has deferred a decision on a €160 million incinerator at Ringaskiddy in Cork for a tenth time. A decision, originally due by July 2016, was due tomorrow, but has been deferred again. The 17-year plan to put an incinerator at the Indaver site in Ringaskiddy has been met with resistance from the community, local politicians and members of PDFORRA, the Defence Forces members’ representative body. An application to build the plant was rejected by An Bord Pleanala in 2011 on the grounds that the plan did not adequately plan for flooding or coastal erosion. Previous hearings took place in 2003 and 2009, and inspectors at both recommended refusal for the project, with the 2009 Inspector’s recommendation being carried by the Bord, and a planning refusal issued in 2011. “While we are prepared to wait for that outcome, we believe that decision could have been delivered immediately after the 2016 hearing in time to meet statutory obligations and the July 2016 deadline. Chase says that the site is no longer zoned for industrial use, having been rezoned for educational purposes by Cork County Council in Local Area Plans agreed in July 2017. Indaver says that the plan is in line with national, local and regional waste plans. Email “Decision on €160 million Cork incinerator deferred for a tenth time”. Feedback on “Decision on €160 million Cork incinerator deferred for a tenth time”.